For an overview visit premierleague.com/youth/EPPP, or for an in-depth look at the Games Programme, read below. The Premier League provide up to 6,000 matches to clubs across all age groups (data for 2014/15 season that could yet increase), through competitions, festivals and tournaments. The Professional Development Phase (Under-17 to Under-23) bridges the gap from youth to senior football with a range of competitions between elite academy sides from England and against teams further afield, while the Youth Development Phase (U12 to U16) and Foundation Phase (U9 to U11) combines elite competition, international experiences, tournaments and festivals in a wide range of formats to develop game understanding and give opportunities to extend and consolidate their learning. The 2016/17 season saw the implementation of new events to enhance the current programme, particularly the growth of cup competitions against teams outside their normal games programme, and you can find out all of the events on offer below. The League is responsible for the delivery of the following Professional Development Phase competitions, which help to bridge the gap from youth football to the demands of senior competitions on the international and domestic stage. Academy players from Under-12 to Under-16 age groups benefit from a range of national and international tournaments across different formats, designed to extend and consolidate players' learning at different stages of their development. 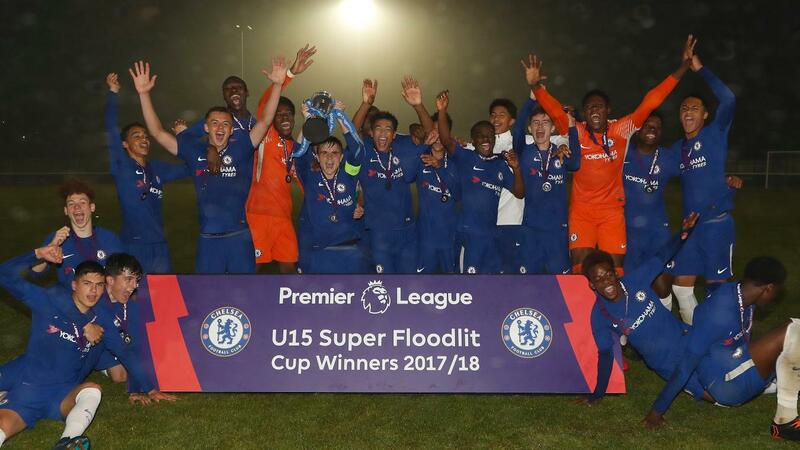 Introduced alongside the Under-18 Premier League Cup from the 2017/18 season, the U16 Premier League Cup adds a competitive, season-long tournament to the Youth Development Phase programme. Category One Academies will be split into six groups of four teams, with clubs playing each other once in the group stage, either home or away. The six group winners and two best runners-up advance to the one-off knockout ties for the Trophy. The U16 Premier League Cup draw mirrors the Under-18 equivalent, with fixtures played on the same dates. 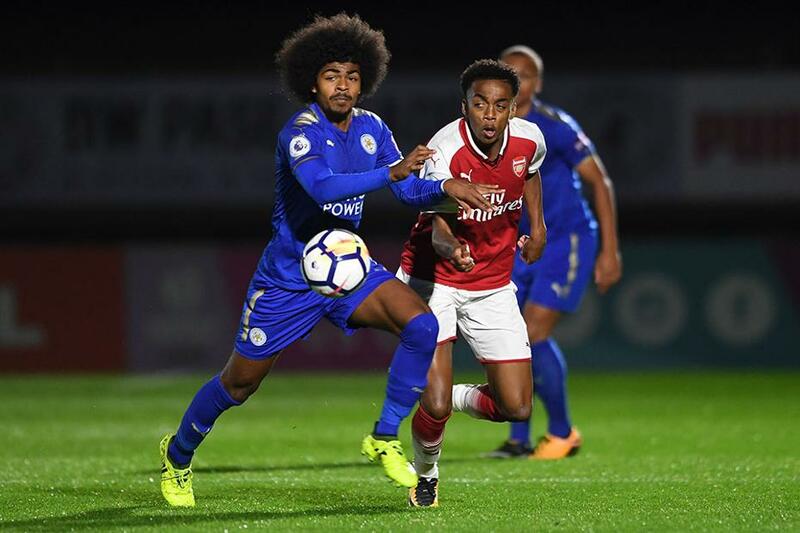 At Under 16, Under-15, Under-14 and Under-13 level, academy sides in the English leagues get to test themselves against different styles and tactics provided by teams from top clubs across Europe in the same age group. The EPPP puts the holistic development of the player at its core so the tournaments are designed to provide extra-curricular, cultural and educational opportunities, alongside elite competition on the pitch. Introduced in 2015/16, the Under-15 Floodlit Cup provides the unique experience of playing evening matches under floodlights in varied weather conditions, often difficult in the winter months. This gives the players an opportunity to prepare for similar tests that they will encounter at Under-18, Under-23 and senior level. 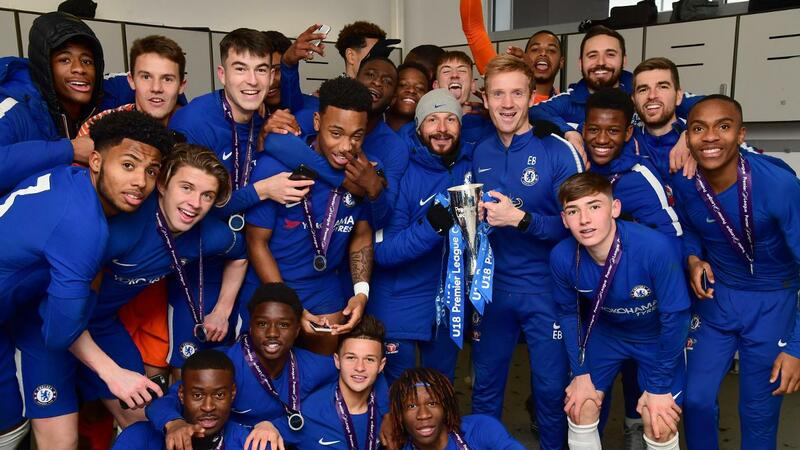 Academy teams pit themselves against the best in the country in a UEFA Champions League format, meaning youngsters gain valuable experience of the pressures that come with cup competitions. Introduced in 2016/17, the Under-13 National Cup provides a unique experience of playing fixtures on a home and away basis. The 5-a-side format allows players to develop confidence on the ball, improve their decision making in one-on-one situations and ball retention. Players experience the alternative format in a fun, enjoyable environment, which will focus on enhancing the player’s love of the game. These tournaments offer the same benefits as Futsal tournaments but with the addition of powerplay music. During matches music will be played at random intervals throughout the matches. When the music is played each goal scored equates to two goals. The events will improve concentration levels while playing with the distraction of music and increase visual cure and triggers to communicate while the music is playing. Similar to futsal, the 6-a-side format provides competitive match experience in a smaller format, with a focus on developing one-on-one attacking and defending skills. Goalkeepers have an increased involvement in the game, where both repetition of shot stopping and increased touches of the ball are evident, and the format encourages high levels of concentration and control, where individual mistakes will result in goalscoring opportunities for the opposing team. National Festivals create opportunities for players to compete against teams from outside of their regular games programme arrangement, providing elite competition and opportunities for players to stay overnight and develop skills of independence. Academy players in the age groups from Under-9 to Under-11 feature in the following tournaments and festivals. 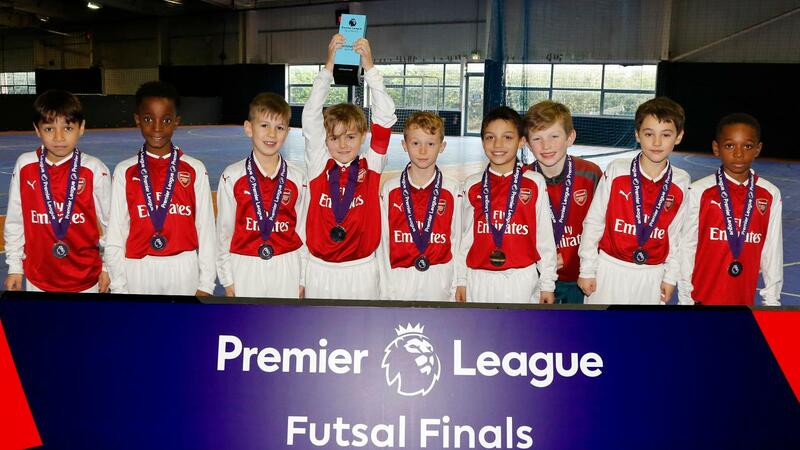 For the Under-10 and Under-11s, Academy sides in the English leagues get to test themselves against different styles and tactics provided by teams from top clubs across Europe in the same age group. The EPPP puts the holistic development of the player at its core so the tournaments are designed to provide extra-curricular, cultural and educational opportunities, alongside elite competition on the pitch. Introduced in 2017/18 to build on the format set out by the successful Eamonn Dolan Tour Series trial the season before, it is a national competition which carries on the late Reading Academy manager's legacy of developing players with fun and innovative methods. There are 10 four-team regional groups of Academy U11 sides. Each club gets to host a tournament against their other group opponents in the match format of their choice, such as "In and Out of Balance" festivals, futsal and tournaments on tighter or bigger pitches. This creates a fun and competitive environment in which players can develop a range of skills on and off the pitch. The winners of each group will go through to the South Series or North Series Finals to compete for the national title. Matches will be played using a 7v6, 6v7 and 7v7 format. Each team plays against the other team in every format. The winner will be determined by the team who finishes with the best goal difference. These festivals create ownership and encourage players to solve problems and become independent decision makers, as well as developing resilience particularly when outnumbered. Players are required to work as a team encouraging leadership, communication and teamwork skills, and to recognise when, why and how to play with fast and slow tempo. Players from different clubs will play in the same teams and socialise and work together throughout the day, with staff playing no active part. The emphasis is to let them play and create solutions to problems, developing confidence, leadership and teamwork as they are taken out of their comfort zones. The five-a-side format allows players to develop confidence on the ball, improve their decision making in one-on-one situations and ball retention. Players experience the alternative format in a fun, enjoyable environment, which will focus on enhancing the player’s love of the game. Matches are played using a 5v5 format with rebound boards and roof nets, helping to develop creative, intelligent and independent decision-makers. The registration of players at Academies is also an important part of the Academy system. All registrations are dealt with through the League’s Registrations team. Upon receiving an application by a club to register an academy player, the League will immediately provide to the academy player’s parents a copy of the Premier League Youth Development rules and of the Charter for Academy Players and Parents. To see an animation that serves as an introduction to the Parents Charter, visit youthdevelopment.premierleague.com. - Registration and contractual offers; Football Association and FIFA Rules and Regulations. For more information, visit www.thepfa.com. Their telephone number is 0161 235 0575 and their email address is youthadvisory@thepfa.co.uk.